Cape Town - Kaizer Chiefs fans can breathe a sigh of relief after news that goalkeeper Itumeleng Khune won't be ruled out of action. The South Africa international shot-stopper has been in fine form this season with Amakhosi and was duly rewarded three consecutive man of the match honours in the league this season. However, in their latest encounter during the 0-0 draw with Golden Arrows, Khune appeared to have injured himself during a challenge with striker Knox Mutizwa. 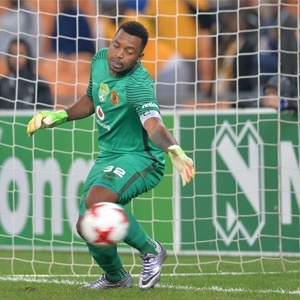 "Khune fell heavily on his head," Dr Hashendra Ramjee told the club's website. "He had a sore neck and a headache from the clash. We took him to hospital where he was examined. Accordingly, he was cleared of danger. "Itu will undergo a series of checks and rehabilitation,” Dr Ramjee added. “However, he should be ready for the next match."